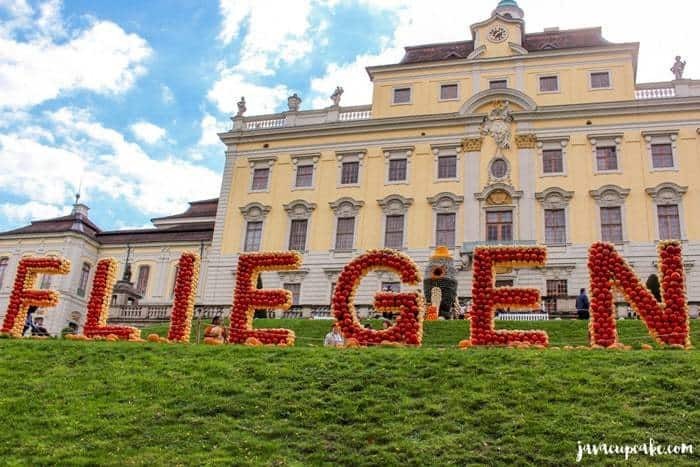 There were over 400,000 pumpkins on display at the Ludwigsburg Pumpkin Festival ranging from small displays featuring just a few pumpkins to life-size sculptures with thousands of pumpkins. I took hundreds of pictures the day we went to the festival and have chosen my favorite to share with you today. 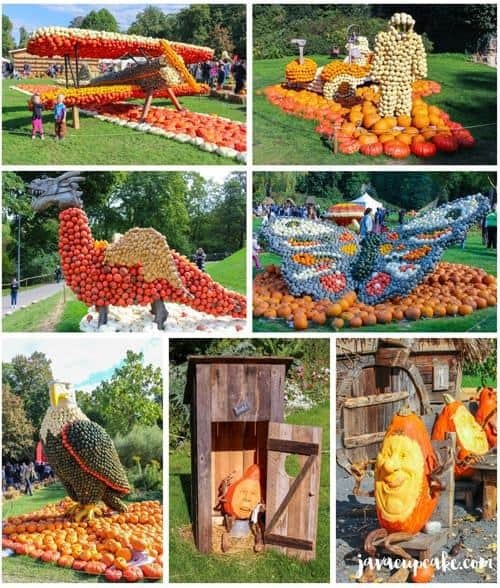 It’s hard to grasp the number of pumpkins that were at the festival unless you’re there to see it in person, but I hope you can get the idea! 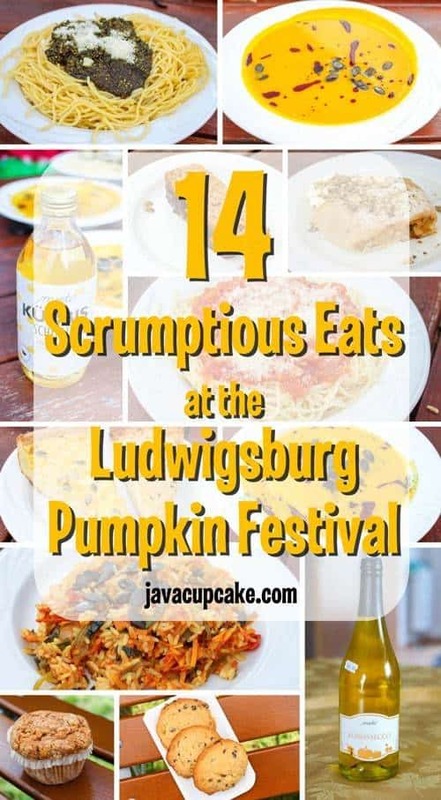 Festivals in Germany are known for their delicious food and this pumpkin fest is no exception! Although I wasn’t able to try everything at the fest (the line was too long for the pumpkin fries, sad), we were able to try so many others! Here are my favorites! 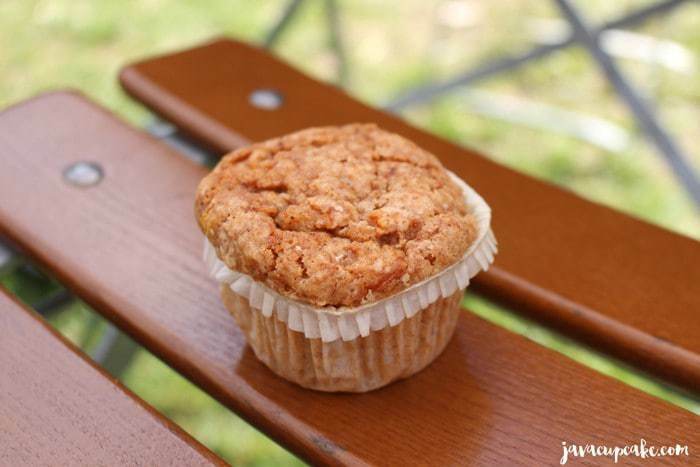 Now this muffin may not look like anything special, but the 6 kids I had with me devoured these muffins! They were spiced perfectly and tasted like pumpkin pie! Not your traditional chocolate chip cookie, these pumpkin cookies were crisp with a touch of salty from the pumpkin seeds. I may need to try to remake these using pumpkin seeds! Genius idea! This was my favorite dessert I had at the festival. 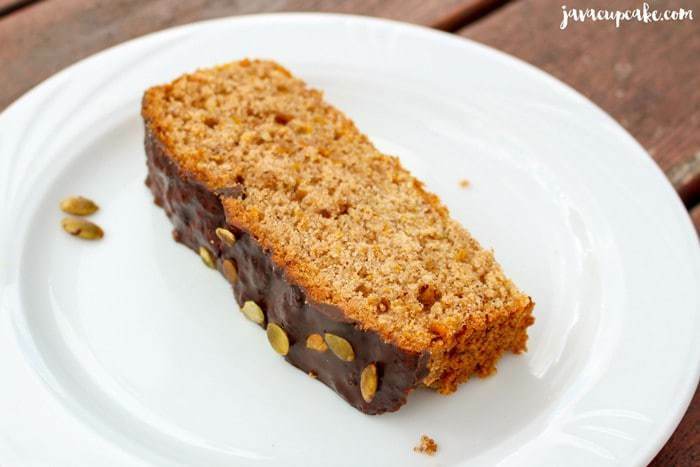 I love a good quick bread and this cake was delicious, especially with the ganache and seeds on top. Served cold, this bubbly pumpkin juice tasted a lot like apple juice with just a hint of pumpkin. It was pretty tasty! 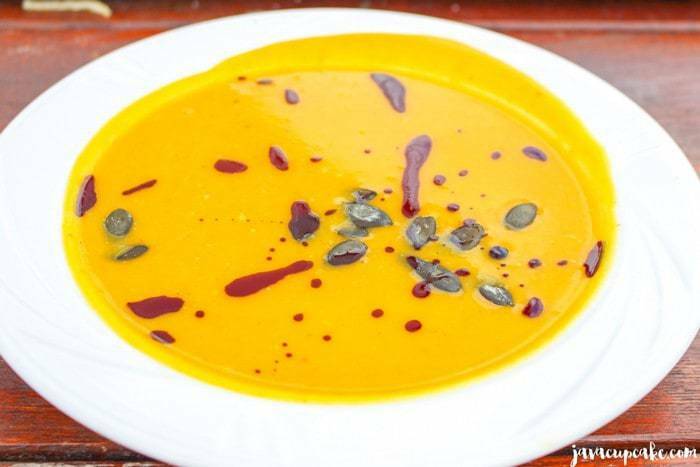 Rich, creamy and served with a drizzle of balsamic, toasted pumpkin seeds & rye bread, this pumpkin soup was divine. 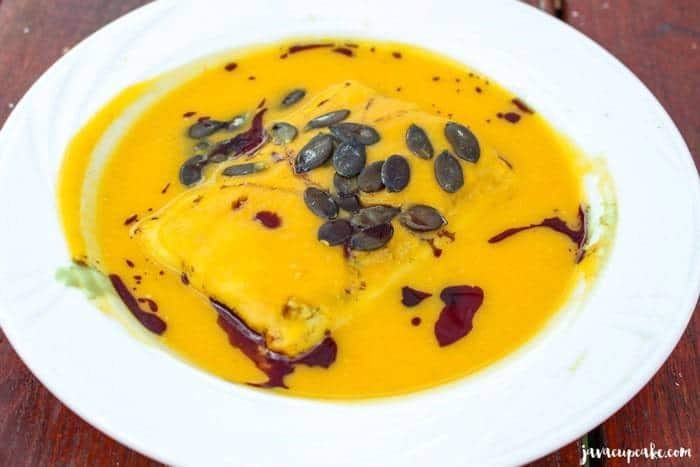 One giant ravioli filled with vegetables, cheese and pumpkin surrounded with pumpkin soup and topped with balsamic and pumpkin seeds. Heaven. Pure heaven. 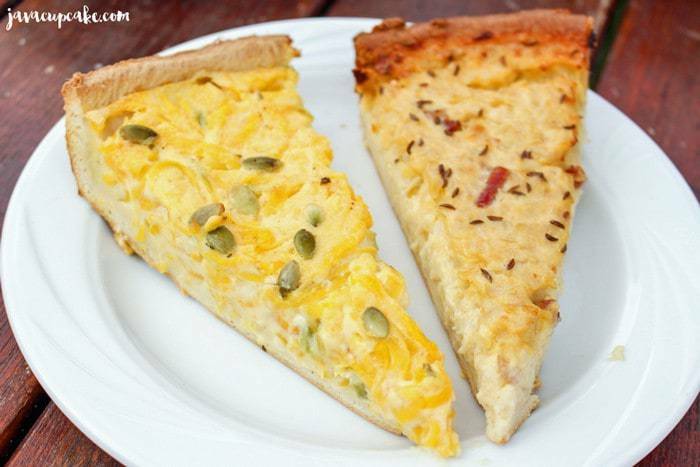 Shredded pumpkin, egg, cheese and pumpkin seeds filled the pumpkin quiche while shredded onions, eggs and cheese were in the onion quiche. These two weren’t my personal favorite, but my husband and friend Christy loved them. 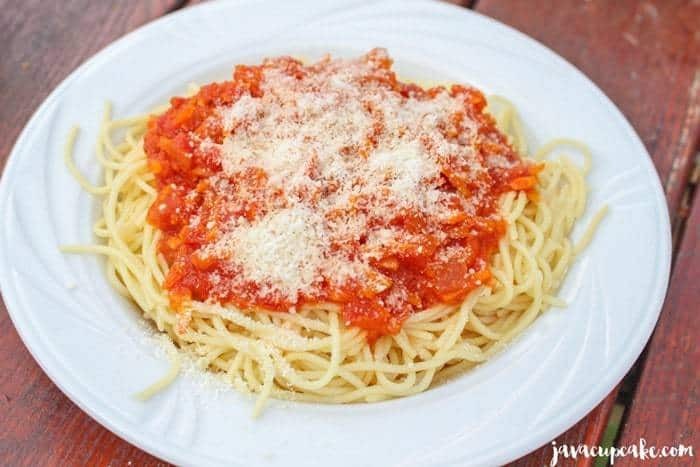 Bright tomato sauce loaded with shredded pumpkin tops a perfectly cooked pile of salsa. The kids loved this! 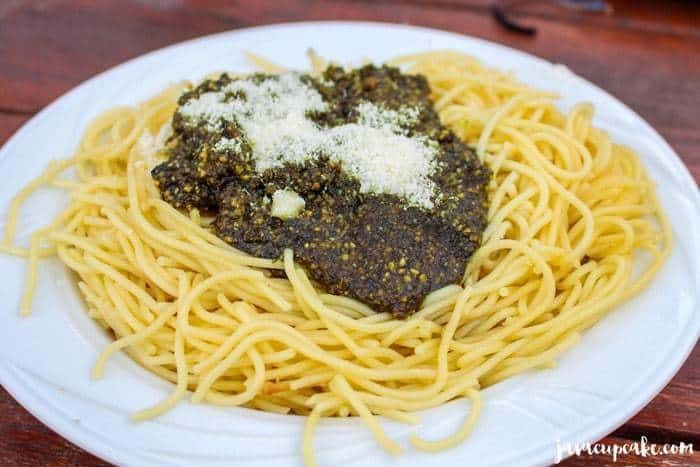 Pumpkin seeds are the base of the pesto that tops this salsa. This was my husbands favorite! 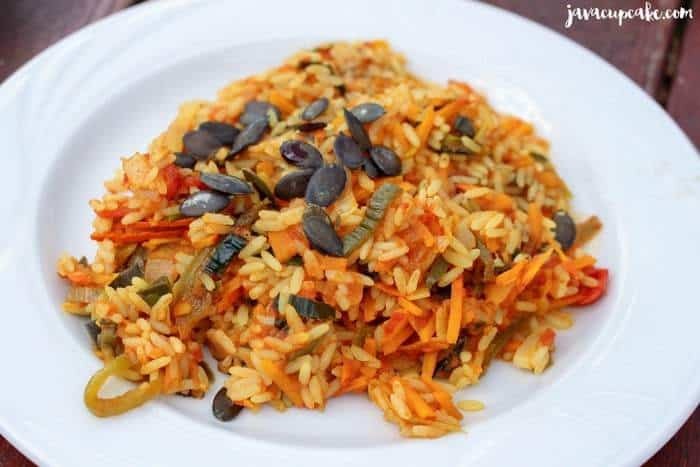 This wasn’t as creamy as a traditional risotto, but it was packed full of delicious pumpkin flavor! 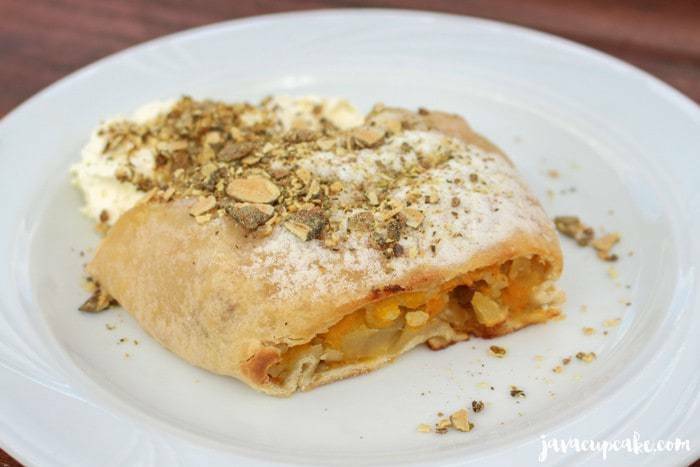 For dessert, we indulged in this turnover filled with sweet apples and crisp pumpkin topped with fresh whipped cream and toasted pumpkin seeds. Epic. 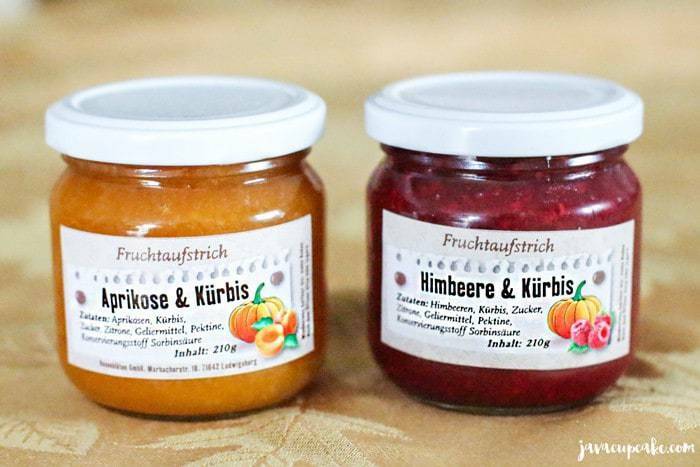 I haven’t opened these jars of jams yet from the fest, but I’ve heard from so many people that they are so good it’s a must-purchase every year! I especially can’t wait to try the raspberry! 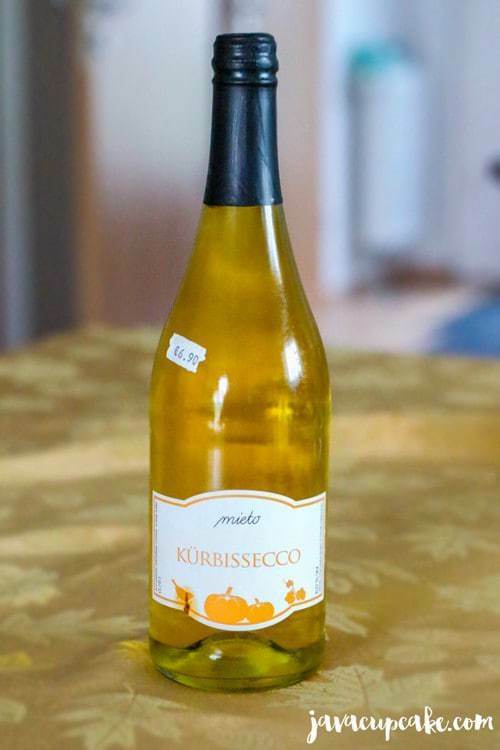 Bottles of this pumpkin champagne were also sold in small single serving size, which is why I knew I needed to buy a bottle for home! 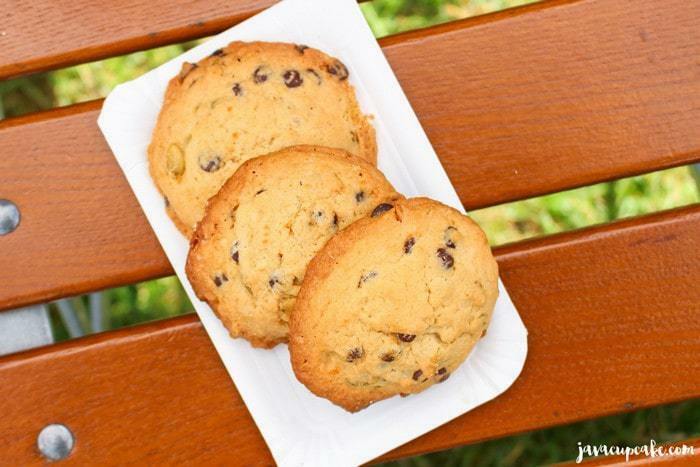 It’s a definite indulgence worth the €7! I only snapped a pic of these roasted seeds with my camera phone for an Instagram pic, but they were the last food purchase I made on the way out of the fest. The perfect sweet and crunchy snack! What a fun festival! I wish we had something like this where I live because I love everything pumpkin. 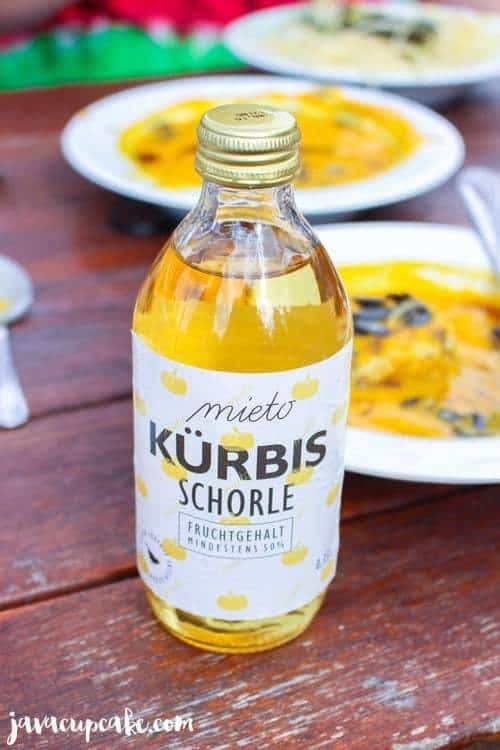 I’m curious about the pumpkin champagne now too!